When John Williams Can't Go, Whom Does Spielberg Call? Thomas Newman It's been decades since Steven Spielberg directed a film without Williams' help. With the composer unable to do his latest, Bridge of Spies, Spielberg kept it in the "extended family," tapping Newman. Thomas Newman poses for a portrait at a luncheon for Oscar nominees in February 2014, in Beverly Hills, Calif.
Up until this year, composer John Williams had scored every single Steven Spielberg movie, save one, since the director's big-screen debut in 1974. In a storied collaboration that has lasted decades, they've worked together on films like Jaws, Close Encounters of the Third Kind, Indiana Jones and Schindler's List. That streak comes to an end this weekend, though, with the release of Spielberg's new Cold War drama, Bridge of Spies. The movie, the director's 28th feature film, is only the second he's made without the help of Williams. "It is an amazing collaboration, you know, played out in what's a wonderful creative output, and also just commercially, as well," says Thomas Newman, a fellow film composer who was there to see the partnership between Spielberg and Williams at its origins. "I'd go and sit on ratty green couches, I remember, down at Fox at the stage that my dad did a lot of work on, and watch John conduct these huge movies." 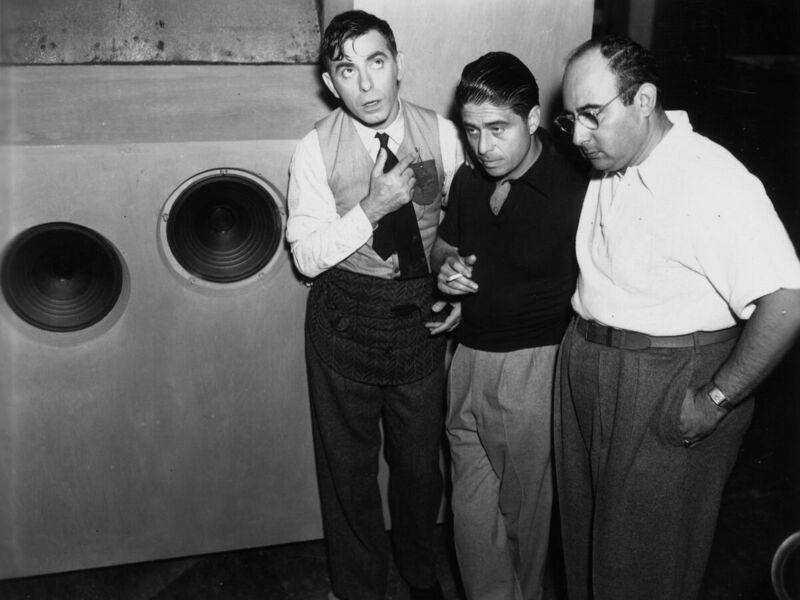 Alfred Newman stands between actor Eddie Cantor (left) and director Norman Taurog, listening to a playback on the set of Strike Me Pink, circa 1935. His dad was Alfred Newman, head of the music department at Fox for 20 years, and one of the founding fathers of film scoring — whose own credits include All About Eve and How the West Was Won. The elder Newman gave a young jazz pianist fresh out of music school — who went by the name "Johnny Williams" — some of his first gigs in Hollywood. "And he was enormously encouraging to me when I was a kid — invited me to his home, and took me and my wife to dinner," John Williams says. "And of course at that time, Tommy was a baby. And so I said to Steven, 'You know, it's really kind of like an extended family, having Tommy do this film.' "
"This film" is Spielberg's latest. Williams didn't score Bridge of Spies, because he couldn't score it. "I was briefly ill in the early part of the year, just at the time Steven's schedule needed to be filled in with the music of this," Williams says. The only other Spielberg movie Williams hasn't worked on was 1985's The Color Purple, which executive producer Quincy Jones insisted on scoring himself. So how do you possibly choose whom to recruit to fill the gap in a collaborative partnership that has lasted 42 years, and that both men compare to a marriage? "My dad, I think, really, really liked John as a player, and I think reached out, creatively, to John. And I don't think John ever forgot that, and he's been close to the Newmans all these years — always been so courteous to me, and such an interested musician," Newman says. "It's been an honor, in many ways, to follow in his footsteps." And just as Alfred Newman gave John Williams some of his first big breaks, Williams, in turn, gave Thomas Newman one of his first plum assignments as a Hollywood musician. "He threw me a bone. I mean, he would not put it that way. But he let me orchestrate a cue from Return of the Jedi, when Darth Vader dies," Newman says, then laughs: "It was an amazing thing to do." 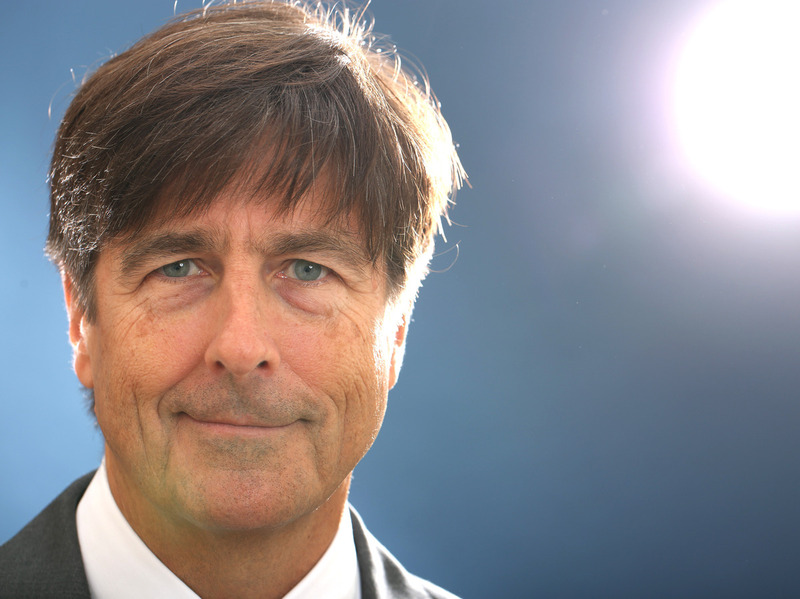 Thomas Newman has gone on to earn 12 Oscar nominations for his own film scores — including nods for Skyfall, American Beauty, and The Shawshank Redemption. He's worked on more than 75 films, and with many big-name directors. But working with Steven Spielberg — knowing who his usual right-hand man is — was a little intimidating. "You sit with him in a room, and you're playing something — a piece of music. And you trust how he responds. And so I would just try to get those feelings that evoked that in him," Newman says. "His instincts are pretty unerring. It was very clear, but it was never doctrinaire, it was never dogmatic at all. I think he was very interested in getting into the creative heart of anyone he collaborates with." 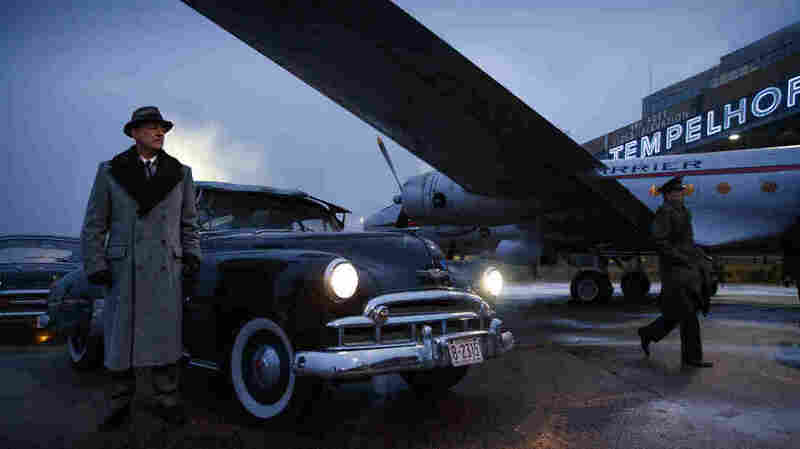 Tom Hanks plays Brooklyn lawyer James Donovan in Spielberg's Bridge of Spies, a Cold War thriller. Newman wrote music for Bridge of Spies that incorporates the quirky, layered piano writing and jagged string motifs that have characterized many of his scores. But he also met Spielberg's aesthetic on its own terms — which favors big, unembarrassed emotions and moments of uncynical beauty. "I think he's got a very particularly precious gift," John Williams says of Newman. "And he's got a voice of his own. I think I think more of his talent than he does. I keep saying, 'Tommy, you should adapt this to a concert piece.' I think he's richly talented." Williams and Thomas Newman are two very different composers from two different generations: One still writes with pencil and paper and got his start in the era of Rodgers and Hammerstein musicals; the other uses electronics extensively and started in the era of Flashdance. "I guess there was no saying I could ever step in and do what John does. But to step in and try to do what I do was kind of what Steven had asked of me — and kind of what I knew I would have to do, just because ... what else was I gonna do?" Newman says. "Because it'd be really hard to be John Williams." But if someone has to take his place — even for just one movie — it's kind of nice to stay within the family.